Romantic hotels in the historical Old Town, splendid old buildings, nice, tasteful furnished, big rooms and a central location...we present you what you are looking for in Regensburg. Our Tourist Guide gives you a good overview about the nicest hotels of our World Cultural Heritage town. Only one stone's throw away from the places of interest, you find a wide range of restaurants, shopping tips and excellent hotels. 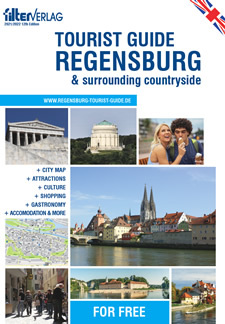 Have a look into our free guide and find out about the nicest hotels of the town.